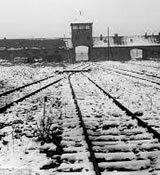 Auschwitz, the most infamous Nazi concentration camp, was liberated 74 years ago on 27th of January 1945, by Soviet troops. From early 1942 until late 1944, transport trains delivered victims from all over occupied Europe to the camp's gas chambers where they were killed with the pesticide Zyklon B. An estimated 1.3 million people were sent to the camp, of whom at least 1.1 million died. Portugal's government remembered the victims and those men and women who prevented the extermination of people persecuted by the Nazi regime, reiterating Portugal's "firm commitment to keep alive the memory of the Holocaust, so that it does not happen again." The Julian calendar proposed by Julius Caesar took effect on 1 January 45BC when the place we now know as Portugal was under the control of the Roman Republic. On 10 January four years earlier, Julius Caesar had famously crossed the Rubicon and declared Alea iacta est (The die has been cast!). This resulted in the Great Roman Civil War, a politico-military struggle fought over a wide area, including the provinces of Hispania, as the Iberian Peninsula was then called. The legitimate republican government of Portugal had been overturned in December 1917 by a Germanophile major, Sidónio Pais. He presided over a dictatorial regime, and enjoyed a surge of popularity as he promised unachievable improvements to the economic life of the Portuguese. Always uniformed, and with a greater retinue than enjoyed by any of Portugal´s recent monarchs, he gave the appearance of authority and certainty. Elected President of the Republic (he was the sole candidate) in May, 1918, he was however unable to satisfy the country´s desire for political and economic stability, and in particular he was unable to force down inflation. Mar d’Estórias is a project that bustles with ideas that are faithful to modernity, but very rooted in heritage. It is by knowing the past of our city that we also discover our history. It is not surprising, then, that when we look at the classic book "Lagos, Evolução Urbana e Património* ” (Lagos, Urban Evolution and Heritage) we find ancestral aspects of the building that is today Mar d’Estórias. As we open this book, published by the Lagos Town Hall, we come upon a sketch of the main façade when it was still the Church of the Maritime Commitment of Lagos. Once again St Vincent´s Day, the 22nd January, will inevitably and sadly pass us by almost unnoticed and, except in the Concelho de Vila do Bispo and the Sé in Lisbon, uncelebrated. There is however a way he could be better remembered in Portugal and that is through wine no less! Although in retrospect Dr António de Oliveira Salazar´s period in power from 1928 until 1968 seems untroubled, his regime certainly experienced difficulties. In the 1930s alone, there were armed insurrections in April, 1931 (Funchal, Madeira), August, 1931 (Lisbon) and January, 1934 (widespread, but famously in Marinha Grande). There was an assassination attempt on Salazar himself in July, 1937, the year in which there were 3,100 political arrests. Members of the Algarve Archaeological Association (AAA) have recently enjoyed a day spent at the Department of Archaeology at the University of the Algarve (UAlg) in Faro. We were invited by NAP (Núcleo de Alunos de Arqueologia e Paleoecologia) to see the presentations made by students who had received grants from the AAA in 2016 to attend international conferences to present their work.